At Agari, we care about our customers’, employees’, and end-users’ privacy, and have implemented a series of processes, policies, and measures to comply with the General Data Protection Regulation (GDPR). This Privacy Data Sheet describes the processing of personal data (or personally identifiable information) by Agari’s Advanced Threat Protection service in the provision of such services to its enterprise customers. Agari Advanced Threat Protection provides unprecedented insight into and control over the email traffic coming into your enterprise. Powered by Trust Analytics – Agari’s unique machine learning techniques based on historical email traffic to your organization – Agari Advanced Threat Protection models the unique behavior of all legitimate email senders and allows you to quickly distinguish good messages from potentially bad messages. Coupled with Trust Analytics, Agari’s platform of data built from analyzing billions of email messages worldwide, Agari Advanced Threat Protection provides you a risk overview and a control point for all messages into your organization and the senders of those messages. Risky messages – such as phishing attempts or business email compromise (BEC) messages that may contain malicious payload or questionable links – are delineated from known good messages. The following paragraphs describe which personal data Agari Advanced Threat Protection processes to deliver its services, the location of that data and how it is secured in accordance with privacy principles, laws and regulations. The table below lists the personal data used by Agari Advanced Threat Protection to carry out its services and describes why Agari processes such data. Email Subject Message Scoring – Data used to assist in message identification, these data can be suppressed at the customer’s discretion. When a new customer purchases a subscription to Agari Advanced Threat Protection, that customer’s information (both the data relating to the customer’s employees who are in contact with Agari to procure and administer the products on behalf of customers and the data processed through Agari’s provision of its services to customers) is always created, processed, and stored in North America. Agari Advanced Threat Protection is hosted at Amazon Web Service’s US-West 2 (OR) Cloud Region and is deployed in an active-active manner across 3 separate Availability Zones. 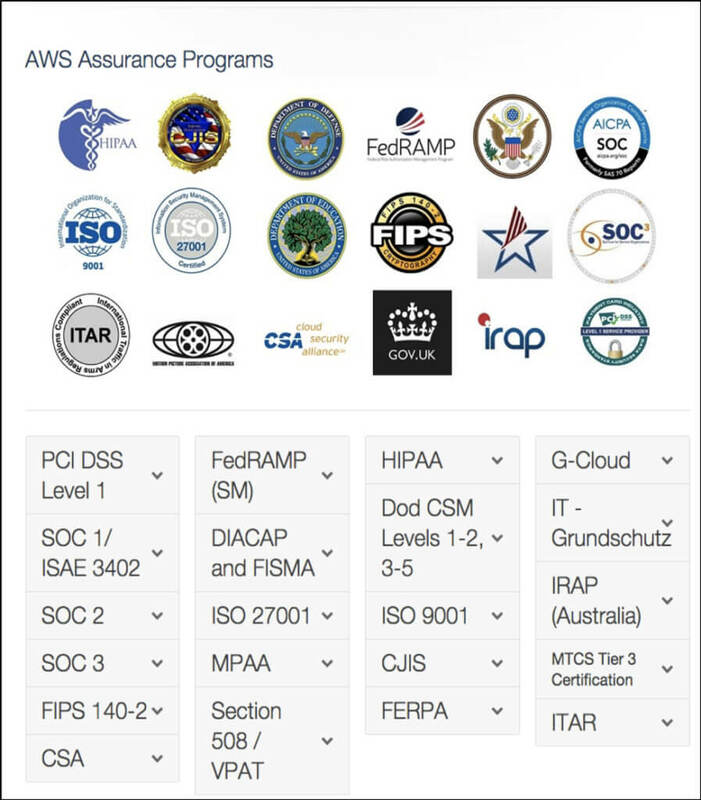 For information regarding AWS compliance/certification please refer to documentation online at https://aws.amazon.com/compliance. Certifications and SOC reports are listed on this webpage and corresponding links under “Assurance Programs”. Customer Account Data - Customer account data is retained for as long as customer is an active Agari Advanced Threat Protection customer. In the event that a customer terminates its subscription, Agari will retain such Customer Account Data until customer requests in writing that Agari removes all stored contact information, including potential PII, from all instances of Agari’s product and customer relationship management platforms. Email Message Meta-Data - Customer email message metadata is retained for scoring and reporting purposes and is expired out of Agari’s “active” data stores after 60 days. In the event that a customer terminates its subscription, customer can request in writing that Agari removes all stored email message data from all instances of Agari’s application and backup systems, failing this, Agari effect such removal within 30 days following termination of the Customer subscription. Agari has governance measures in place, and has built its processing practices around the principles of data protection by design and by default. This includes: data minimization, pseudonymization (where possible), allowing end-users to monitor the processing, and enhanced and up-to-date security features, such as encryption, confidentiality, integrity, resilience of processing systems, and ability to restore personal data in a timely manner in the event of an incident. Agari’s technical and organizational measures and risk mitigation plans are audited, tested and re-evaluated on an annual basis to ensure the appropriateness of its systems, networks, and business practices on an ongoing basis. Agari has disaster recovery procedures set up to restore personal data in case of any security incident. Customer contact info for product admins and users Encrypted in transit and at rest. Email message headers, attachment filenames, and URIs* Encrypted in transit and at rest. * Encryption is provided using then current best practices as defined by Amazon Web Services Agari will notify its customers without undue delay after learning of a data breach, if required by law, and has mechanisms by which it can detect and report data breaches. Agari Advanced Threat Protection provides unprecedented insight into the traffic coming into your enterprise. To realize this value, customers configure their Secure Email Gateways to copy all incoming messages to the Agari Advanced Threat Protection sensor. The sensor component receives the full email message including the body and any attachments present. The sensor extracts the metadata (email headers), attachment filenames, and URIs, forwards these into the Agari Advanced Threat Protection pipeline, and then deletes the message. The sensor can be hosted either on premises (within the enterprise’s internal network) or by Agari (hosted sensors). On Premises Customers have complete control over the sensor including full “root” level access to the operating system and host application. Agari employees cannot access an on premises sensor without the permission of the customer. Hosted Sensors Agari Advanced Threat Protection hosted sensors are provisioned in a dedicated and separate Amazon Web Services account. Hosted sensors are not “multi-tenant.” Each customer gets their own Virtual Private Cloud (VPC), their own Elastic Load Balancer (ELB), and their own EC2 Autoscale Group (ASG). The underlying AWS IaaS is multi-tenant. Agari engineers cannot access the hosted sensor EC2 instances using the root account, and only a subset of Agari engineers have access to the hosted sensor environment. All hosted sensor actions are logged locally and can be reviewed with the customer. This includes evidence that each message is deleted post-processing. Email message While being processed by an Agari hosted sensor, message level data is encrypted both in transit and, if temporarily persisted, at rest using encrypted Elastic Block Storage (EBS) volumes. Agari utlizes Pendo (www.pendo.io) Product Analytics to enhance the usability of our products. Although Pendo’s cloud service has no access to our customers’ data, it can see the usernames (email addresses) of our customer users who have access to our web applications. Pendo’s data centers are US based and their GDPR Process and Approach is available online. Obligations and rights of our customers (as data controllers). Agari imposes confidentiality obligations on its authorised personnel who process the personal data. Agari has implemented measures to assist its customers in complying with data subjects’ rights and requests. For example, our cloud storage provider is Amazon Web Services and we have entered into GDPR-compliant data processing terms, which incorporate by reference Model Contractual Clauses. Based on Agari’s understanding of GDPR, in consultation with other large, multinational organizations doing business in the EU, data containing personal data as defined by GDPR, including email addresses of individuals, may lawfully be transferred and reside outside the EEA for the purposes of processing such data to legitimately protect their organizations from cyberattacks. Per sections 5 and 7 of this document, it is Agari’s belief and assumption that it meets all current applicable data protection requirements as laid out by the GDPR for the purposes of cross border transfers of personal data.